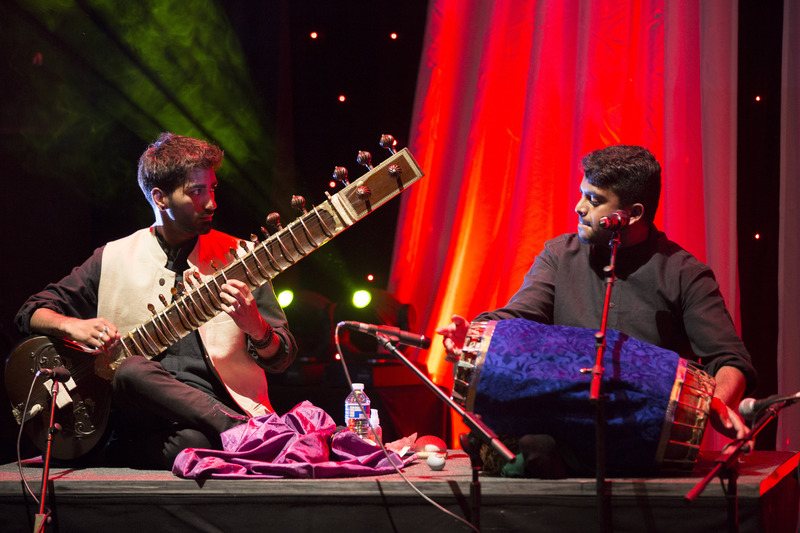 Tarang is the National Ensemble for Indian Music. Since its founding in 2003, it has been the only ensemble of its kind in the world; its members are talented young adult musicians trained in Indian Classical music. Its tour performances have been at venues like The Purcell Room (Southbank Centre), Bridgewater Hall Manchester, The Sage Gateshead, Theatre by the Lake and Liverpool’s Capstone Theatre as well as opening in a Commonwealth Games event at Buckingham Palace in 2010. It has also performed at WOMEX, Dartington, Salisbury and other international festivals. Tarang’s recent collaborations include the Italian Orchestra Gli Archi del Cherubino and the Afghan National Institute for Music. Tarang has attracted world-class tutors and composers to work with its musicians, and produced a new style of contemporary Indian music. Over the years, it has been known as an innovative and trailblazing ensemble. Now, we plan to further develop the music, profile and appeal of the ensemble; we want to bring Indian music to a wide, mainstream audience, by creating a new sound influenced by other genres, like jazz, alternative and other European folk. Tarang performances are produced by Milapfest, and toured or showcased nationally and internationally. We are looking for talented musicians, trained to a high standard, who would like to learn and perform in this new musical direction. Membership of Milapfest’s ensembles is open to advanced students or early career professionals trained in Indian Classical music , over the age of 18, permanently resident in the UK. Ensemble members are selected on the basis of ambition, talent and potential. Your gender, background, religion or ethnicity do not influence your application in any way whatsoever. Tarang was founded by national charity Milapfest, and is one of eight NYMOs (National Youth Music Organisations) supported by Arts Council England. Milapfest raises funds to support the costs of membership, and though it costs us over £1,500 per member (not including administration, promotion and organisation costs), we ensure the cost of membership remains low. Membership fees for Tarang are £500 for 19-20.